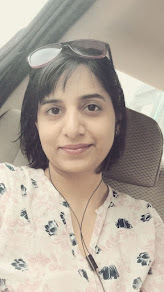 Recently, as part of their promotional campaign I was invited to a Bloggers meet hosted by Prestige Group to check out their new completed project Prestige Glenwood, located in Old Madras Road. It was a much needed break for me, meeting few familiar faces and few new talented people, and also Villa properties are something that I really enjoy visiting, hence I gladly agreed to join. It was an evening well-spent. Let me give you an overview of the project of which I had a first hand experience. 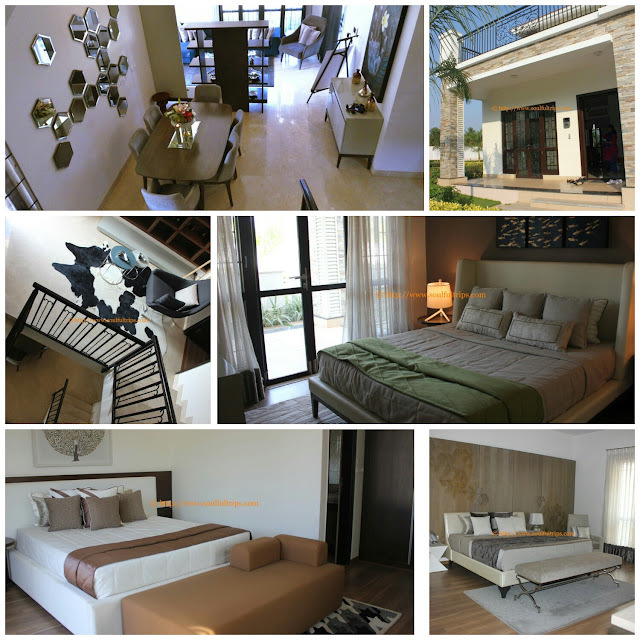 As I entered the exclusive enclave, a sprawled area of across 15 acres with its 116 twin houses and independent villas welcomed me. The ready to move-in villas have their own private lawns and are surrounded by neatly landscaped open areas and cobbled pathways. Around 70-80 % of the units are sold out. The Villa areas range between 2800 sft. and 3625 sft. and costs between 2.2 crores and 2.7 crores. Amenities are world-class and good in architecture. That includes Swimming Pool, Wadding Pool, Lawn Tennis Court, Basket Ball Court, Children’s play area and Extensive Landscape. We had a chit chat at their clubhouse. It is an impressive two storey structure that houses pretty much everything that a resident would aspire near a home for a good living. 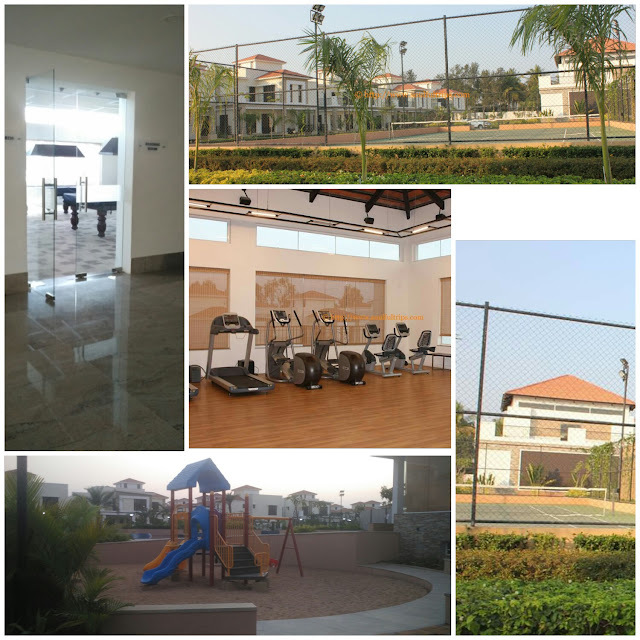 Gymnasium, Squash Courts, reading room with Billiards tables, a yoga room, Kids room, Reception area, adequate and classy Washrooms. There is also a big space allocated for shopping store. Environment related: The project has water treatment plant, rain water harvesting plant & an STP. There is no garbage incinerator for composting installed in the project as of yet. Half a KM distance from Prestige Tranquility, near Budigere Cross, off Old Madras Road. Its en-route to Bangalore International Airport and in proximity to Whitefield -ITPL. Budigere Road is brimming with projects like Pruksa Silvana, GR Sun Villas, Brigade Exotica & Prestige Tranquility. 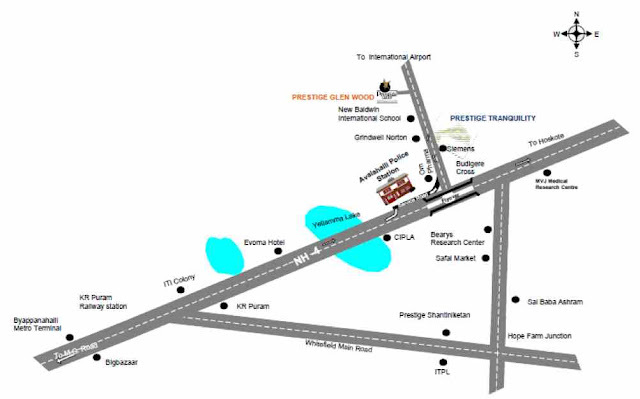 The area is close to New Baldwin International School, Avaiahalli Police Station, and Seimens. 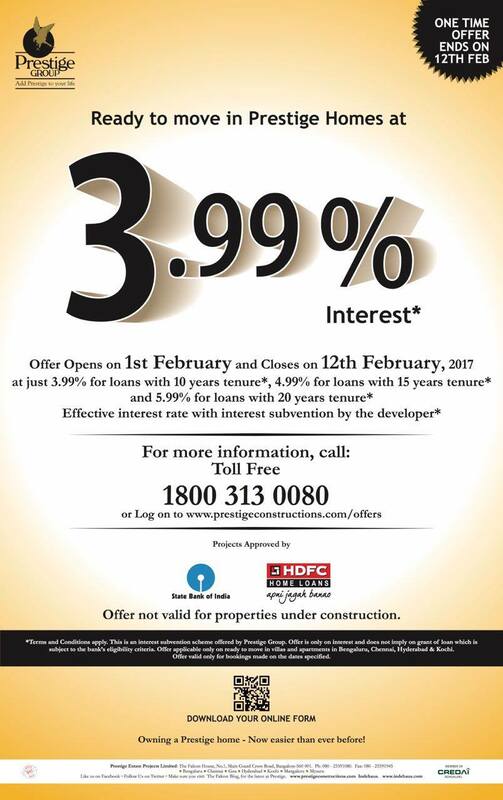 Serious customers can rejoice in the offer Power of 3 by Prestige Group wherein the rate of interest 3.99% p.a is for a duration of 10 yrs and similarly 4.99% p.a for 15 yrs and 5.99% for 20 yrs. This can help save upto 1 Crore. Loans can be availed from SBI or HDFC. Homes at Prestige Glenwood are also covered under this scheme. Prestige Glenwood is no doubt a beautifully constructed and maintained residential complex, that speaks of class. The area around is still empty with mango orchards and fields nearby. It will take sometime before it can get congested like Outer ring road. So yes, one can immerse in the lap of luxury at Prestige Glenwood for quite some years. 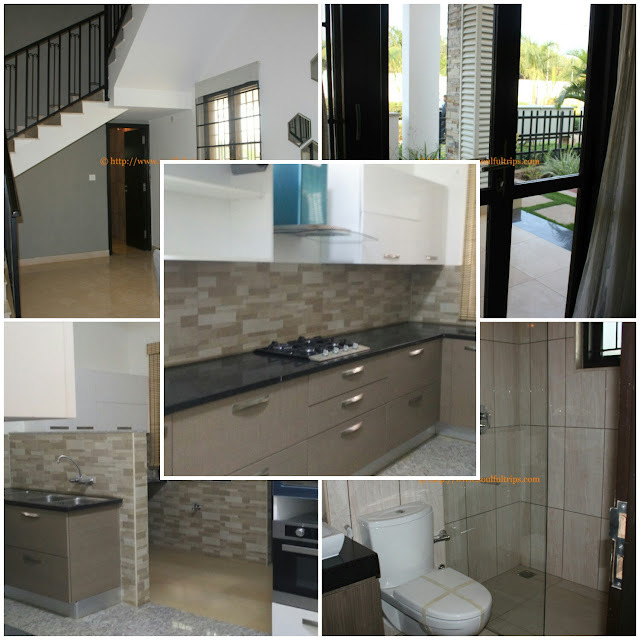 For Master Plan, Floor Plans and other specifications please click here. 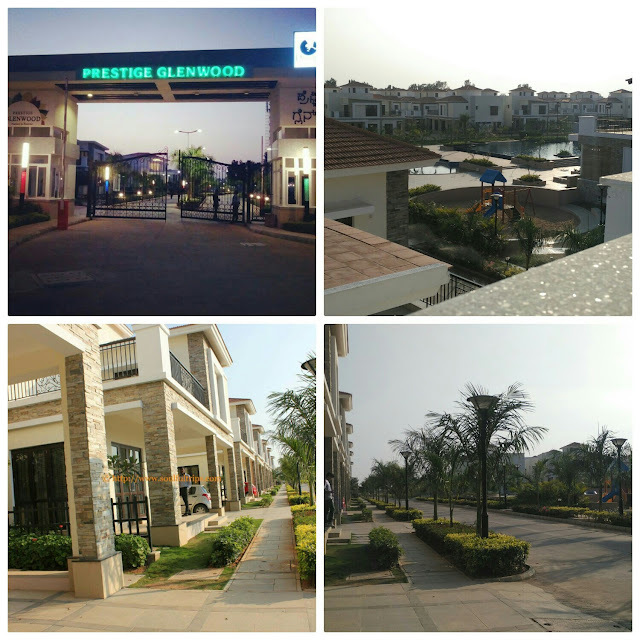 I was invited at #PrestigeGlenwood Properties, Budigere by Prestige Group. This is information post based on my personal visit. Any buyer or property related query, please contact the builder.